Spring brings baby animals. People often run across these cuties, and when they don’t see any parents nearby, they get worried. But often, baby animals don’t need to be rescued. 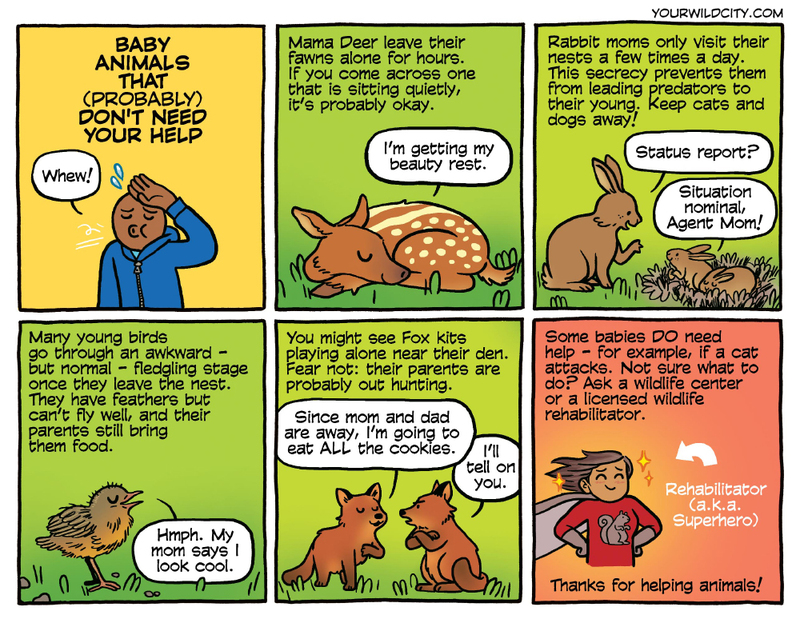 If you think an animal DOES need help, contact a wildlife center or rehabber! And keep those cats and dogs away from baby wildlife. They need space to grow up strong.